Environment groups today welcomed moves by the NSW government to implement a 10cent deposit scheme on drink bottles and cans. “We welcome the commitment to a cost effective and efficient scheme. It’s been a long time coming after a ten year campaign. There’s no doubt that NSW will benefit environmentally, economically and socially from the massive reduction in drink container litter; over 1,000 new jobs; new investment in the recycling industry worth hundreds of millions of dollars; and a big boost to charity income,” said Jeff Angel, National Convenor of the Boomerang Alliance of 32 groups. If you don't live in NSW you should still contact your MP's and ask, "Are we next?" Just before Christmas, NSW Premier, Mike Baird, and the Environment Minister, Rob Stokes, wrote to the National Packaging Covenant Industry Association (NPCIA)’s chairman, Grant Musgrove, and Coca-Cola Amatil managing director, Barry O'Connell, stating that the government favoured the introduction of a state-based container deposit scheme. It stated that the beverage giants need to make a "far greater commitment" to reduce packaging waste litter and boost recycling and invited the industry to get on board to clean up NSW’s parks, beaches and rivers. The Baird government had obtained independent advice that showed a container deposit scheme "will be cost effective and efficient". The decision to go ahead comes after City of Sydney’s recycling initiatives in July - two reverse vending machines and an ambient awareness campaign, the success of which was announced in November. This stirred the pot. Coca-Cola Amatil met with Stokes about litter reduction in July. Two weeks later, Lion Nathan and CUB met with Baird. Stokes then met separately with recycling companies, and Keep Australia Beautiful (funded by Coca-Cola and an opponent of container deposits). Baird and Stokes then met Clean Up Australia, Greenpeace and the Boomerang Alliance. 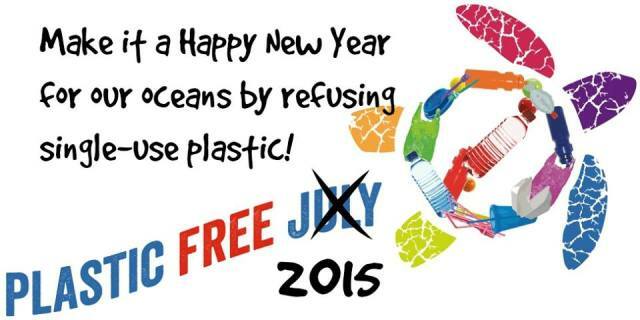 In late November, the NPCIA submitted its own recycling proposal to the NSW government. It was rejected for lacking clear governance arrangements, for not being adequately specific and for not having the level of long-term funding required to achieve sustained behavioural change. The Northern Territory introduced a cash for returns scheme four years ago. In its first 12 months, an extra 35 million containers were returned. But in 2013 Coca-Cola, Schweppes and Lion Nathan challenged it – successfully. They argued the legislation was illegal under Commonwealth law because it required different production processes for the same product in different states and territories. Their win was brief. As a result of the Federal Court decision, the Northern Territory government was forced to financially support the cash for containers scheme and pay the 10 cent deposit at a cost of $1 million a month, after beverage companies stopped supporting the scheme. Eventually the Federal Executive Council gave the Northern Territory’s scheme permanent exemption under the Commonwealth's Mutual Recognition Act, which meant that beverage companies had to repay deposits of 10 cents a bottle or can recycled through the Territory system as before. Coca-Cola Amatil stated that it would raise prices of its products to cover extra costs. But 82% of Australians favour a cash for deposits scheme.Baby Boomers remember returning soft drink bottles to corner stores for a small cash deposit as kids. The glass bottles were re-used. They also remember when drink cans could be returned for cash. Under the NSW scheme, schools and charities will be encouraged to raise funds by collecting containers for cash (expected to be set at 10c). Beverages companies will be allowed to increase drink prices by the amount of the deposit, and only need to pay the deposit on redeemed containers. Reverse vending machines will be located in public places and community recycling centres will be set up to collect glass, plastic and cans of the sizes most often consumed away from home. The machines have a capacity of 3000 PET bottles or cans, automatically crush the containers, and don't allow non-recyclable rubbish to be deposited. Contamination hampers many local council recycling efforts. The finding suggests the lizard could provide advance warning of the impact of agricultural chemicals, in the same way canaries in coal mines once warned of dangerously high levels noxious gases. "Many Australians are familiar with this South Australian lizard whose head resembles its tail," saidAssociate Professor David Phalen, from the University's Faculty of Veterinary Science and an author on the findings, recently published in Royal Society Open Science. "The fact this species is being affected by chemicals means other wildlife, livestock and even humans sharing the same environment may be affected. It suggests the health of other reptiles may also indicate the overall health of the environment." The research was led by Anita Smyth at CSIRO (now at the University of Adelaide). Elizabeth Smee, a Masters student in Wildlife Health and Population Management at the University of led the sample collection and data analysis. Among the many chemicals continually released by humans into agricultural environments are fertilisers, weed killers, insecticides and poisons to kill mice, rats and foxes. Despite their widespread use the impact these chemicals have separately, or in combination, on wildlife remains little known. The study focused on sleepy lizards because of their potential as a sentinel of environmental health. 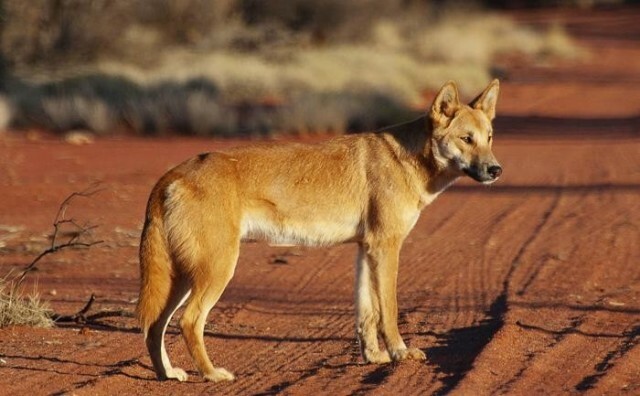 They occur throughout southern Australia, in areas touched by livestock grazing or cereal cultivation and live 20 to 50 years, with young born annually. "Our study explored the health of two wild populations of sleepy lizards from unimproved rangelands and the nearby 'intensively managed,' fragmented landscapes of southern Australia's cereal croplands. We looked at their physical condition and took blood samples," said Professor Phalen. "Fifty six percent of the sleepy lizards inhabiting an intensively managed cropping area were experiencing a significant anemia as opposed to the unexposed (control) group of lizards which showed no evidence of anemia. It appeared this was the result of exposure to one or more chemicals which caused damage to the lizards' red blood cells causing them to be destroyed prematurely. "The overall impact was difficult to determine but is likely to have interfered with reproduction and may have caused some animals to die." Adult sleepy lizards in croplands south of the Murray River barrier were found to have reduced body condition which was believed to be the result of their anemia. The lizards were exposed to multiple agricultural chemicals. The chemical thought most likely to be the cause of the anemia was zinc phosphide which is used to kill mice. Another unexpected finding was that some lizards in the control group were exhibiting a high white blood cell count but were not anemic. These findings suggest these animals were experiencing a chronic infectious disease which could result in an increased death rate and population reduction . "If we do not closely monitor the health of our wildlife we will not know what damage we are doing," said Professor Phalen. "We plan on continuing this work to identify the specific chemicals poisoning these lizards and to monitor their ability to recover." Professor Mathew Crowther from the University of Sydney's School of Biological Sciences was an author of the article. CSIRO, PMB 2, Future Farm Industries Cooperative Research Centre, The University of Western Australia, TERN Eco-informatics Facility and Flinders University were also involved in this research. Koalas urgently need your help. We may see more koalas coming into the care of wildlife groups for treatment of burns. We urgently need mittens made from 100% cotton sheets or tea towels to protect injured paws. 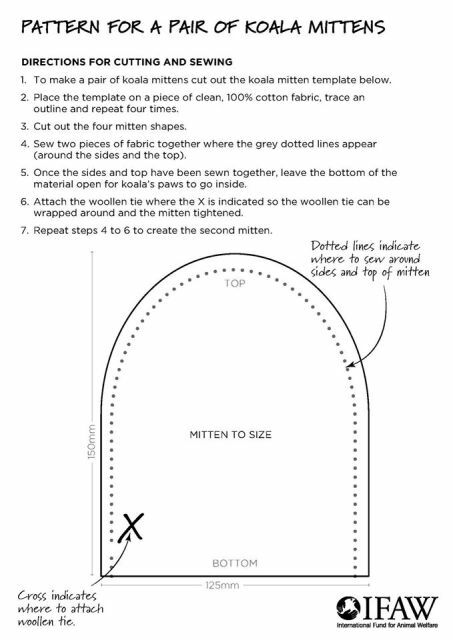 Please cut out our pattern and get your friends to get sewing too. Send your mittens to IFAW at 6 Belmore Street, Surry Hills NSW 2010 and we will distribute them where they are most needed - to vets, vet nurses and wildlife carers. January 7, 2015 - The lowering of the ocean's pH is making it harder for corals to grow their skeletons and easier for bioeroding organisms to tear them down. Erosion rates increase tenfold in areas where corals are also exposed to high levels of nutrients, according to a study published January 2015 in the journal Geology. As sea level rises, these reefs may have a harder time growing toward the ocean surface, where they get sunlight they need to survive. The study, led by scientists at Woods Hole Oceanographic Institution (WHOI), highlights the multiple threats to coral reef ecosystems, which provide critical buffers to shoreline erosion, sustain fisheries that feed hundreds of millions of people, and harbor 25 percent of all marine species. And it points to a key management strategy that could slow reef decline: reducing the input of nutrient pollution to the coastal ocean from human activity such as runoff from sewers, septic tanks, roads, and fertilizers. "A healthy coral reef ecosystem exists in a constant and often overlooked tug-of-war. As corals build their skeletons up toward the sea surface, other organisms--mollusks, worms, and sponges--bore into and erode the skeletons to create shelters," said lead author Thomas DeCarlo, a graduate student in the WHOI-MIT Joint Program in Oceanography, working in Anne Cohen's lab at WHOI. In waters with fewer carbonate ions and more nutrients, corals may not be able to build new skeleton fast enough to keep pace with bioeroders cutting down the reef. The result would be "flatter" coral reefs with less of the three-dimensional structure responsible for the rich biodiversity found on coral reefs. To conduct the study, the research team investigated coral reefs spanning the Pacific Ocean, from the west coast of Panama to Palau. The reefs also spanned a range of different naturally occurring pH and nutrient conditions in the ocean, including several reefs in seawater with pH levels today that are as low as those expected for much of the tropical ocean by 2100. That allowed the scientists to examine how bioeroders are affected by the isolated and combined influences of pH and nutrient conditions. The scientists used underwater drills to collect cores of coral skeletons. They put the cores through the CAT scanner at the Computerized Scanning and Imaging Facility at WHOI to get 3-D images of tunnels and borings made by bioeroders with a resolution of about the width of a human hair. That allowed them to calculate precisely how much skeleton the bioeroders had removed. "The ocean will certainly absorb more CO2 over the next century, and ocean acidification is a global phenomenon that reefs cannot escape," DeCarlo said. "But the encouraging news in our findings is that people can take action to protect their local reefs. 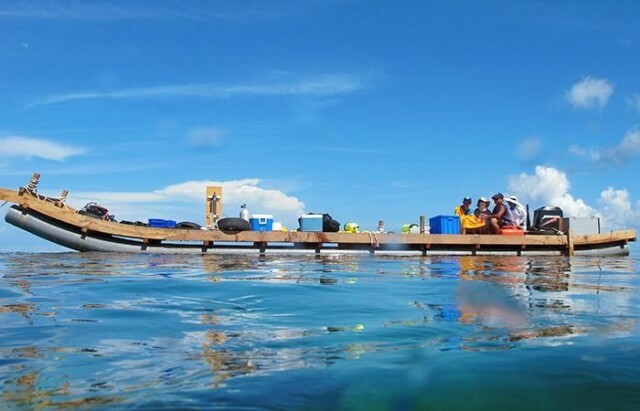 If people can limit runoff from septic tanks, sewers, roads, farm fertilizers, and others sources of nutrient pollution to the coastal ocean, the bioeroders will not have such an upper hand, and the balance will tip much more slowly toward erosion and dissolution of coral reefs." January 7, 2015 - A new analysis suggests that large-scale wave energy systems developed in the Pacific Northwest should be comparatively steady, dependable and able to be integrated into the overall energy grid at lower costs than some other forms of alternative energy, including wind power. 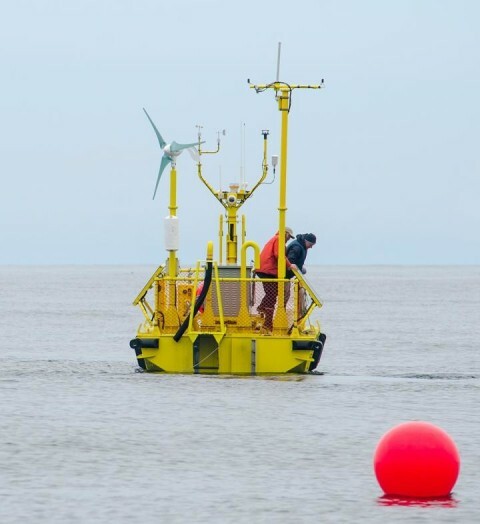 The findings, published in the journal Renewable Energy, confirm what scientists have expected -- that wave energy will have fewer problems with variability than some energy sources and that by balancing wave energy production over a larger geographic area, the variability can be even further reduced. The variability of alternative energy sources is one factor that holds back their wider use -- if wind or solar energy decreases and varies widely, then some other energy production has to back it up, and that adds to the overall cost of energy supply. We need your help to create something very special. 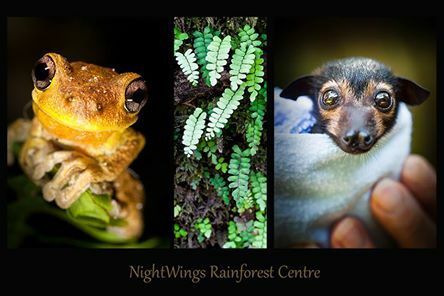 NightWings Rainforest Centre will encompass 15ha (37 acres) of brand new rainforest adjoining the World Heritage listed Daintree National Park. We are three committed people determined to create a legacy. Land has been purchased, but we now need your assistance to help fund, to grow and plant 70,000 rainforest trees in six stages, starting December 2015 with the first 10,000 trees, to further increase wildlife habitat in the most bio-diverse region of Australia. January 7, 2015 - Bacteria that have evolved to eat their way through yeast in the human gut could inform the development of new treatments for people suffering from bowel diseases. Led by Newcastle University, UK, and the University of Michigan, the study shows how microbes in our digestive tract have learned to unravel the difficult to break down complex carbohydrates that make up the yeast cell wall. Evolving over the 7,000 years humans have consumed fermented food and drink, the ability of strains of Bacteroides thetaiotomicron (Bt) ¬¬¬to degrade yeasts is almost exclusively found in the human gut. Publishing their findings in Nature, the international research team say the discovery of this process could accelerate the development of prebiotic medicines to help people suffering from bowel problems and autoimmune diseases. This has provided a better understanding of how our unique intestinal soup of bacteria -- termed the microbiome -- has the capacity to obtain nutrients from our highly varied diet. "People are very interested in developing dietary regimes where good bacteria are of benefit," explained Professor Gilbert. "When you have certain bacteria dominant in the gut these microorganisms can produce molecules which have health promoting effects. "There's a lot of interest in developing prebiotics. The more you understand about how complex glycans are degraded the more you can think about developing sophisticated prebiotics that target the growth of specific beneficial bacteria." It is hoped the research could aid a better understanding of how to provide nutrients to specific organisms in the microbiome. Indeed, given that Bt has been granted Orphan Designation by the FDA for Paediatric Crohn's Disease (ThetanixTM), yeast mannan may have health promoting effects on the microbiome by stimulating the growth of Bt. Professor Gideon Davies, of York Structural Biology Laboratory at the University of York, who contributed to the work, said: "The ability of Bacteroides thetaiotaomicron to degrade yeast cell wall components may be of importance in fighting off yeast infections and in autoimmune diseases such as Crohn's disease." Professor Spencer Williams, of the University of Melbourne, who also contributed to the research added: "Bacteroides thetaiotaomicron is an important part of our microbiota, the community of bacteria that live within us. "By consuming carbohydrates that we can't, which they convert to short-chain fatty acids that they secrete into our distal gut, these bacteria establish a symbiosis that nourishes the cells that line our gut wall and provide important immune signals that establish a healthy immune response." January 7, 2015 - Research conducted at Griffith University in Queensland, Australia, may lead to greatly improved security of information transfer over the internet. In a paper published in the online journal Nature Communications, physicists from Griffith's Centre for Quantum Dynamics demonstrate the potential for "quantum steering" to be used to enhance data security over long distances, discourage hackers and eavesdroppers and resolve issues of trust with communication devices. "Quantum physics promises the possibility of absolutely secure information transfer, where your credit card details or other personal data sent over the internet could be completely isolated from hackers," says project leader Professor Geoff Pryde. "In an ideal world, such perfectly secure long distance communication between any two parties is simple. They could share strongly entangled quantum systems -- such as particles of light called photons -- to generate truly random and uncrackable codes. "Unfortunately, in the real world the two parties cannot share sufficiently strong entanglement over long distances due to transmission and detection losses. As the photons travel through the communication network, some are lost, thus providing a loophole for outsiders to attack their code." A backup solution -- and the focus of the Griffith research -- is quantum steering, where a measurement made on one party's quantum system changes, or steers, the system held by another. Professor Pryde says that, despite being a weaker form of entanglement, quantum steering operates paradoxically to maintain communication security while tolerating greater real-world loss and removing the need for absolute trust in devices. "Quantum entanglement is a wonderful resource for safe and secure communication, but you need to verify it is really there to be certain any eavesdroppers are kept out of the loop," he says. "Our new technique does so without requiring any trust in the communication devices and it should work in long distance scenarios where standard methods fail." The Griffith team used special photon quantum states to program a measurement apparatus at each step of sending the code. Because of "Heisenberg's uncertainty principle" -- which states one can never be certain of both the position and speed of a microscopic particle -- a hacker cannot reliably determine these quantum states even if they have hacked an apparatus. Remarkably, this means it can still be used securely. In the experimental demonstration, measurement devices representing the two parties were constructed and received entangled photons from a quantum source. Another photon source, representing the referee, was used to prepare the quantum states for programming one apparatus. After many runs of the protocol, the referee could use the measurement results from both parties to perform a mathematical test for genuine quantum steering, as derived by Griffith theoretical physicist Dr Michael Hall. "The team showed that the quantum-refereed steering protocol can match tests for strong entanglement, in not requiring trust in the measuring devices, and has the further advantage of being robust to noise," says Dr Hall, adding that researchers hope to use the technique in a full quantum secure coding demonstration. From The Film Australia Collection. Made by the National Film Board 1951. Directed by Jack S Allan. Children from outback Australia enjoy a holiday by the sea at the newly opened Country Children's Holiday Camp at Portsea Victoria. 6 January 2015 - Stuffed, Stitched and Studied: Taxidermy in the 19th Century explores the methods and purpose of Australian 19th century taxidermy made for science. Resulting from three years of research, the Macleay Museum's latest exhibition presents 98 animals drawn from around 400,000 preserved specimens collected by the Macleay family from the 1790s. From the endangered banded hare-wallaby to an albatross that seems too large to be real, the exhibition takes visitors through both the purpose and evolution of taxidermy processes for insects, birds, marsupials and fish. Senior Curator at the Macleay Museum Jude Philp said the exhibition helps highlight the continued importance of the museum's taxidermy collections. "In the 19th century, exhibitions of taxidermied specimens were the only way people could see colourful and accurate displays of species. Museums were also the principal place of research into the diversity of the animal kingdom," she said. "As one of the oldest in the country, the Macleay collection provides perspectives on how museum collections were developed and why and how specimens were collected, exchanged, and purchased. As part of a network of museum collections across the world, the Macleay specimens continue to be a uniquely public, irreplaceable international resource and library." As co-curator of the exhibition Dr Tony Gill explains, "The primary use of the Macleay natural history collection was and remains taxonomy, the naming and classification of animals. The collections also provide a snapshot of the geographical distribution of animals when habitats were relatively pristine." Stuffed, Stitched and Studied: Taxidermy in the 19th Century also contains a section written on Torres Strait Islander uses of turtle shells written by University of Sydney doctoral candidate Leah Lui-Chivizhe. Highlights here include a fully-grown 1.5 metre green turtle and a hatchling of just 8cm, as well as two turtle shell masks from the 19th and 21st centuries, demonstrating the continuity of expertise in this unique Islander practice. Lui-Chivizhe explains how Islanders maintain their own taxonomies, knowledge of behavior and variation in turtles as well as spiritual aspects of knowledge through Islander styles of education. "Despite the different times we live in, these specimens generate enormous interest, not just because some are a bit quirky (like the gruesome eyeless squirrel), but also because the techniques used to make these 'animal sculptures' are so intriguing," Dr Philp said. "Techniques like drying out a caterpillar by inflating it over a flame or using jewellery techniques to wire together a skeleton are all illustrated through the diversity of the Macleay collections." The vital research project that made this exhibition possible was funded by Sir Michael Hintze. Sculptors make a final touch to their creation “Moon Goddess” at the Jingyue Lake National Forest Park in Changchun, Northeast China’s Jilin province, December 25. The thematic sculpture, 25 meters high and 80 meters long, features a goddess unfolding a flag. The lake’s name Jingyue means “Clear Moon” in Chinese. January 7, 2015 - Expectant parents should avoid the use of ultrasounds for nonmedical reasons, according to maternal-fetal medicine experts at Loyola University Health System, of USA, state. "Ultrasound is a valuable tool when done for medical purposes by trained professionals," said Jean Goodman, MD, Loyola University Health System. "But this technology should not be used for entertainment purposes to see an image of a baby or to identify gender." The Food and Drug Administration recently warned against the use of these so-called "keepsake" ultrasounds, strongly discouraging their use for creating fetal images and videos. The agency noted that ultrasounds can heat tissues slightly and in some cases, produce very small bubbles in the tissue. The long-term effects of tissue heating are not known. Fetal ultrasound imaging provides real-time images of the fetus. Doppler fetal ultrasound heartbeat monitors are hand-held ultrasound devices that let you listen to the heartbeat of the fetus. Neither is intended for over-the-counter (OTC) use. Dr. Goodman noted that keepsake ultrasound facilities are popping up in local strip malls. She encouraged expectant parents to look for medical institutions that are certified by the American Institute of Ultrasound in Medicine when considering prenatal care. These facilities complete a rigorous certification process to ensure safe operation of this technology. "Keepsake ultrasound facilities are not regulated and you don't want to expose expectant mothers and babies to medical technology in the wrong hands," Dr. Goodman said. The above story is based on materials provided by Loyola University Health System. January 7, 2015 - A new study suggests that dogs may have first successfully migrated to the Americas only about 10,000 years ago, thousands of years after the first human migrants crossed a land bridge from Siberia to North America. The study looked at the genetic characteristics of 84 individual dogs from more than a dozen sites in North and South America, and is the largest analysis so far of ancient dogs in the Americas. The findings appear in the Journal of Human Evolution. "Dogs are one of the earliest organisms to have migrated with humans to every continent, and I think that says a lot about the relationship dogs have had with humans," Witt said. "They can be a powerful tool when you're looking at how human populations have moved around over time." Human remains are not always available for study "because living populations who are very connected to their ancestors in some cases may be opposed to the destructive nature of genetic analysis," Witt said. Analysis of ancient dog remains is often permitted when analysis of human remains is not, she said. Previous studies of ancient dogs in the Americas focused on the dogs' mitochondrial DNA, which is easier to obtain from ancient remains than nuclear DNA and, unlike nuclear DNA, is inherited only from the mother. This means mitochondrial DNA offers researchers "an unbroken line of inheritance back to the past," Witt said. But the most surprising finding had to do with the dogs' arrival in the Americas, Witt said. "Dog genetic diversity in the Americas may date back to only about 10,000 years ago," she said. "This also is about the same time as the oldest dog burial found in the Americas," Malhi said. "This may not be a coincidence." "The region of the mitochondrial genome sequenced may mask the true genetic diversity of indigenous dogs in the Americas, resulting in the younger date for dogs when compared with humans," he said.